Sanford Biggers Summons the Power of Deep Music | Hyperallergic Biggers’s current exhibition at Marianne Boesky gallery, Selah, taps into something deeply powerful and ancestral. Sometimes my experience of one piece of art illuminates another. Recently, I visited the 8th Floor Gallery to see Elia Alba’s exhibition, The Supper Club, which features a panoply of photographic portraits of contemporary artists. 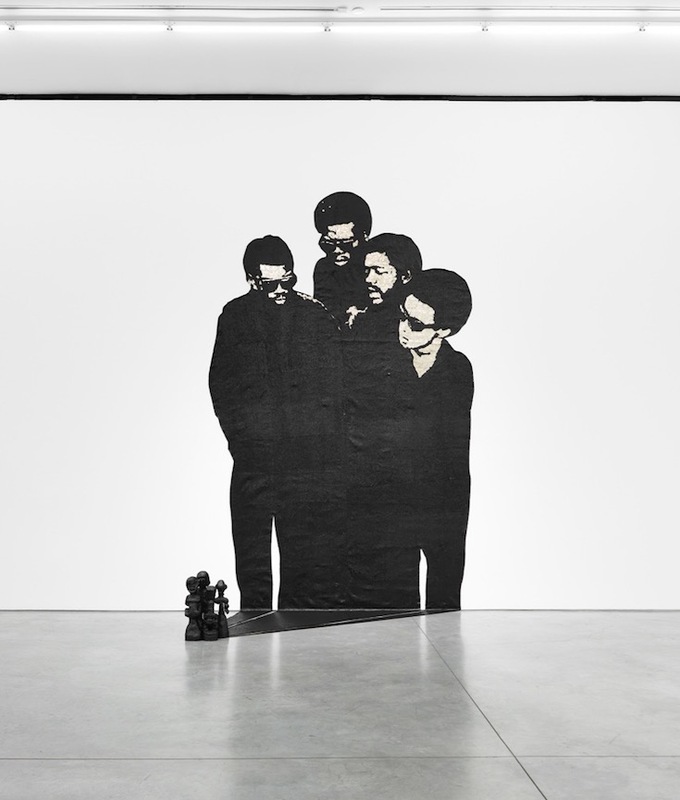 Among them is one of Sanford Biggers, titled “The Syncretist (Sanford Biggers)” (2014). As with the other portraits, the title provides insighMarianne Boesky galleryMarianne Boesky gallery, Selah. Syncretism has to do with the conjoining of distinct cultural systems, or the elements thereof. The process is primarily associated with the history of religion, that is, belief systems, and Selah recognizes that being black in the United States is a syncretic state of being, that the African and the American have become lodged together in ways that are at times brilliant, grandiose, and also violent and inscrutable.